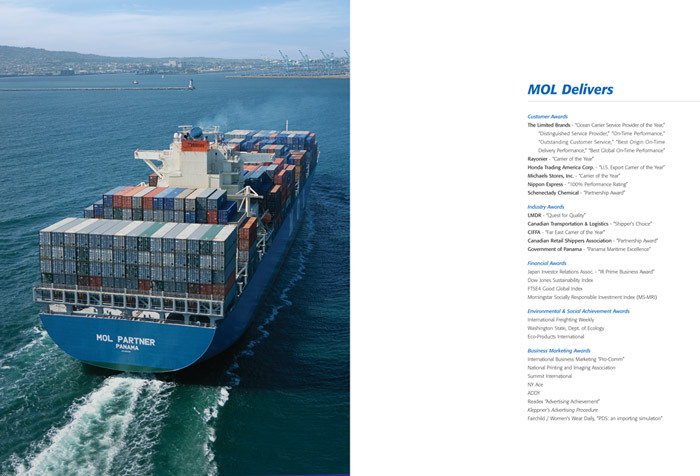 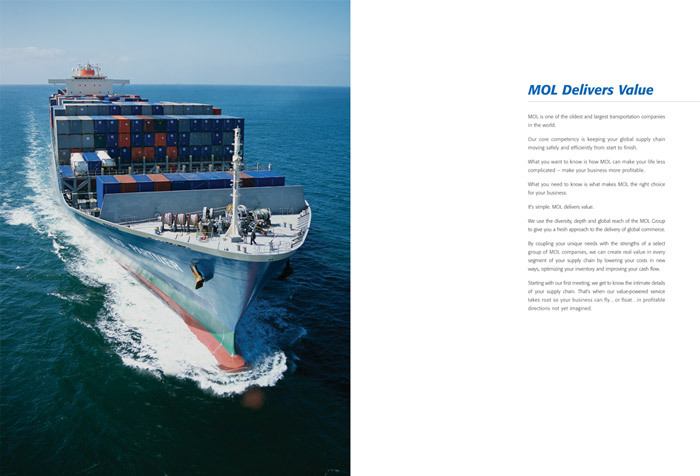 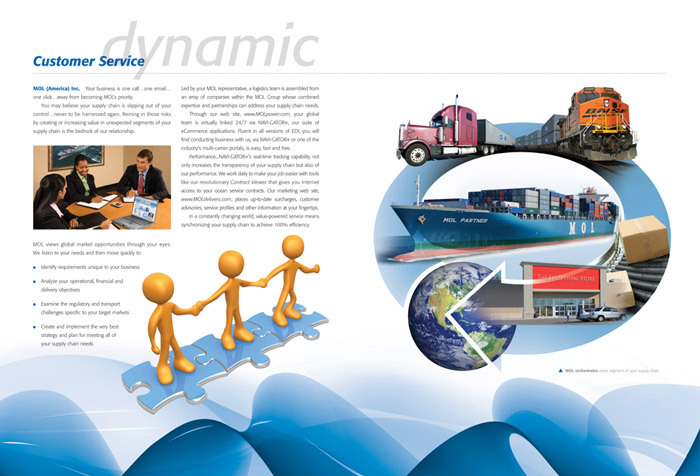 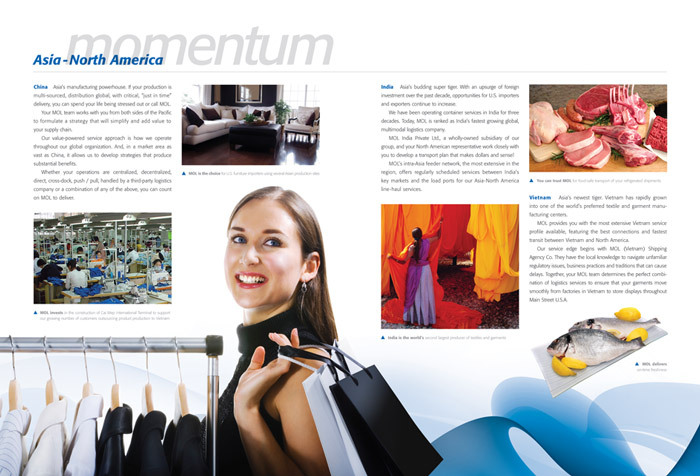 This is the MOL (Mitsui OSK Line) Americas Corporate brochure for their container division. 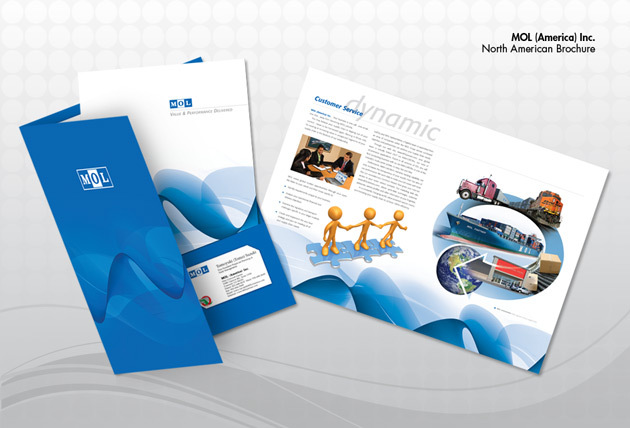 This brochure was designed with a complimentary folder and business card holder. 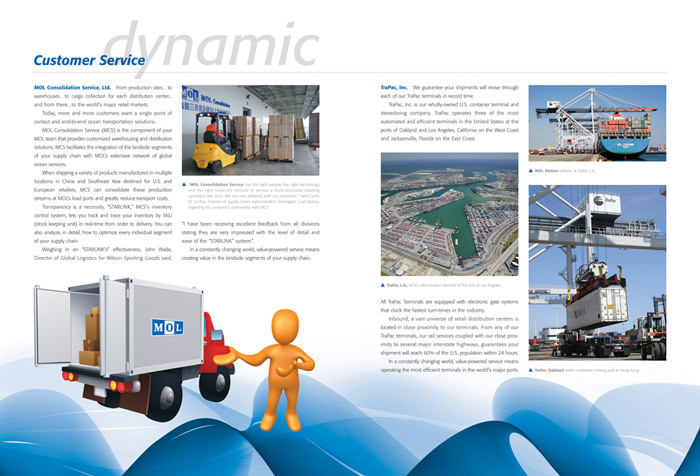 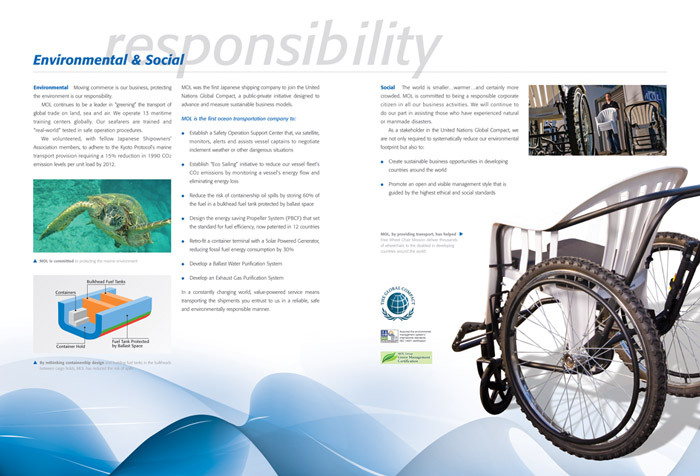 We were tasked with a brochure that was reasonable to print yet could be used for a 10 year duration. 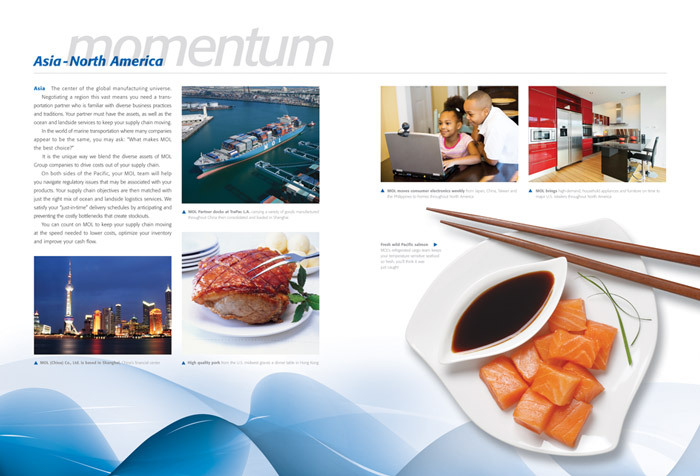 If your interested in a brochure Longwater & company can handle your needs from photography, copy writing and of course that beautiful design.